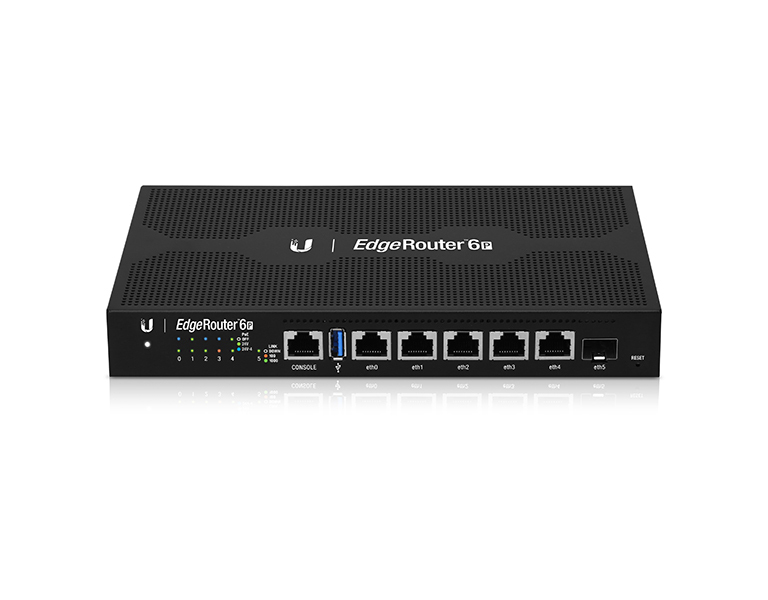 Ubiquiti Networks introduces the EdgeRouter 6P, the next generation of routers for the EdgeMAX® platform. EdgeRouters combine carrier-class reliability with enterprise-level features in a compact and affordable unit. 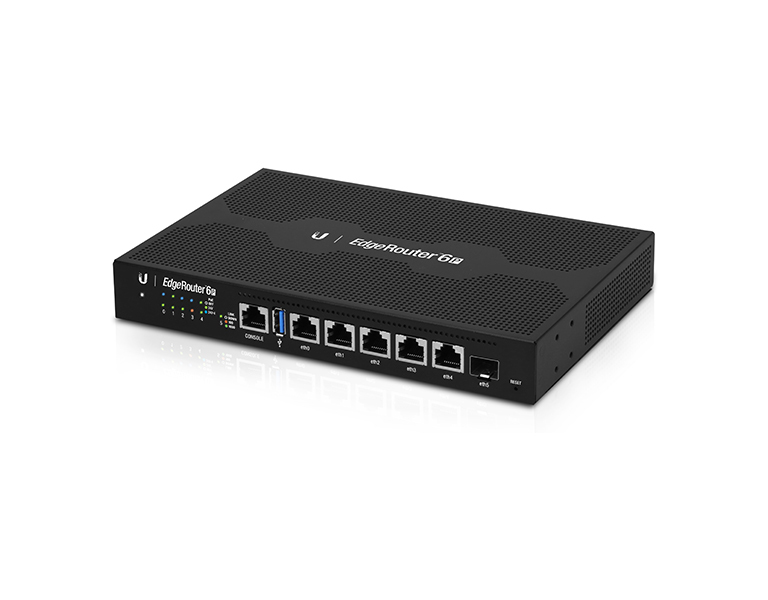 The EdgeRouter 6P offer Gigabit Ethernet ports and an SFP port for a fiber link. 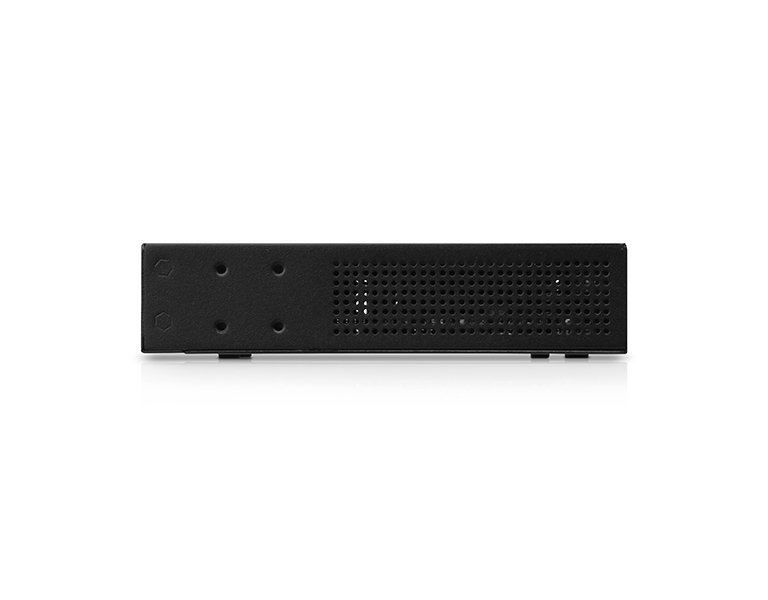 The EdgeRouter 6P also offers five configurable PoE ports to power airMAX® products. 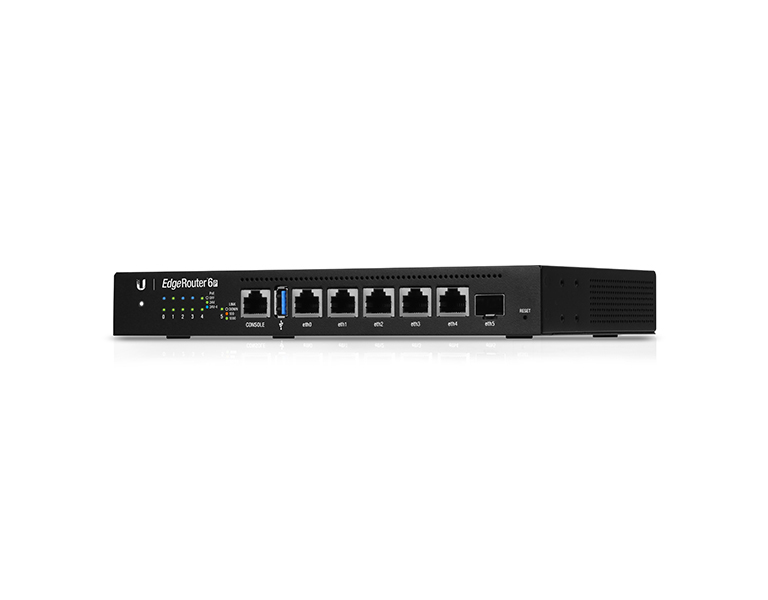 The EdgeRouter 6P are each capable of routing up to 3.4 million packets per second. The EdgeRouter 4 has a line rate of 4 Gbps, while the EdgeRouter 6P has a line rate of 6 Gbps. 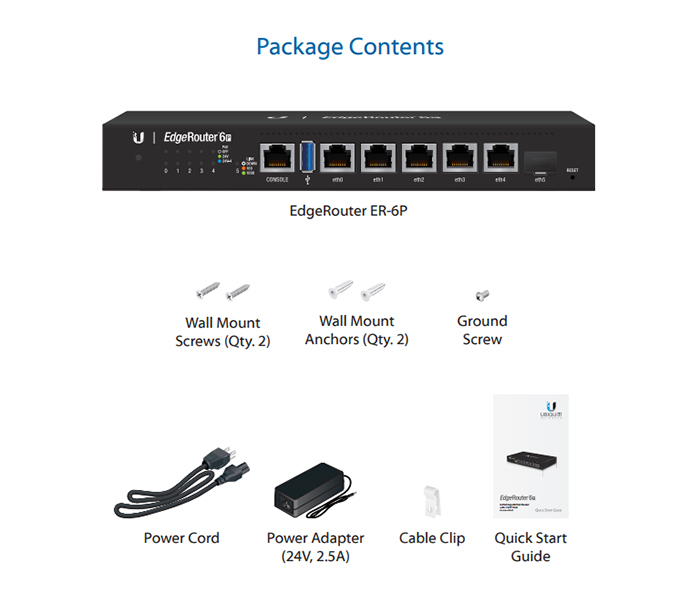 The UNMS app allows you to manage the EdgeRouter using your mobile device. The app can be downloaded from the App Store® (iOS) or Google Play™ (Android).